Inigo Kennedy has released upwards of 100 records since he started in 1996, cementing his esteemed aesthetic and revealing his digital mastery further with each release. This immense discography embraces both the traditional and the ambitious; prevalent fundamentals and established concepts meet discord, clashes in texture and supreme use of space. Kennedy's 2007 record Identify Yourself was Token's first release. Although Kennedy was well-established by this point, that inaugural step taken together, with Token as a newcomer, began the much-needed growth of the label in a period of time when techno music yearned painfully for a refresh. This was the beginning of a close relationship between artist and label that has remained fruitful through the 11 years of Token's existence. Kennedy is now long-recognised as an integral contributor to Token's output; the label is the indisputable natural home for his sixth album, and in turn he continues to play his part in advancing Token's evolving sound with this release. Strata expands conceptually on the idea of planetary layers alluded to in Magma/Mantle, released in February 2018. The album progresses through levels of ornate drama, opening with Clarion Call (Return to Nothing), a full-length refix of the celebrated introduction from Kennedy's 2015 release of the same name, showing off the best of his melodic manipulation and creativity in sound design. This delicate grace is cut through spectacularly by the jaggedness of the approaching textures of Trapezoid, while the elegant and icy beauty of Stillness Expanded is impacted by the noisy and epic Reminiscence, which grand and almost clerical in its resounding majesty. Shudder grounds the record in restrained grit and provides functionality, while the opening fanfare of Breaking Point advances yet another degree of energy. The record's built-up intensity is broken at its conclusion by the sleepy, acid-tinged Oblivion ? one that bumps along with a drowsy breakbeat and invites the mind to wander. 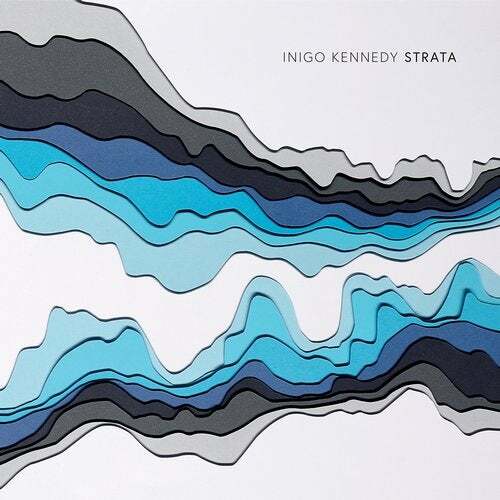 With Strata, Kennedy proves once again that his reserves of passion, skill and potency are far from depleted; that there is yet more to be discovered in the depths of his imagination.